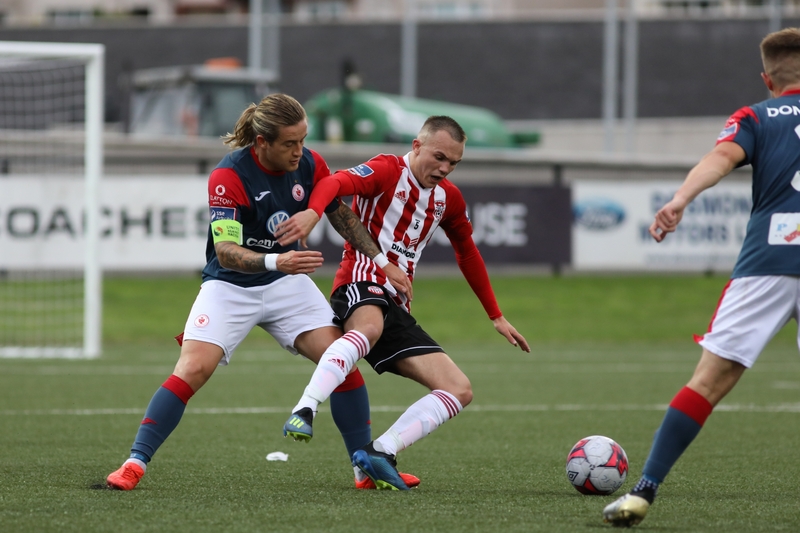 Derry City Manager Kenny Shiels has admitted that he will be forced to raid his underage resources ahead of Monday’s EA Sports Cup semi-final against Sligo Rovers at the Showgrounds (KO 5pm). With Rory Patterson now left for Crusaders the Candystripes’ boss continues to be without the injured Nicky Low and Conor McDermott while Ally Roy is cup-tied having already turned out for the bit-o’-red in an earlier round. The club has subsequently been officially informed on Sunday afternoon that a further four players- Darren Cole, Eoin Toal, Gavin Peers and Jamie McDonough are suspended for the game, leaving Shiels with a huge selection headache. “Our preparations have been impossible because we’ve been waiting to see who would be available” he began. He will no doubt be looking for a lot more from his charges this time despite so many enforced changes. If the Manager is looking for positives he can of course point to the fact that City have a phenomenal record in this competition. A win here would leave the visitors one game away from an unprecedented 11th league cup success. As usual, both Drive105 and Radio Foyle will be providing live commentary coverage of the game.